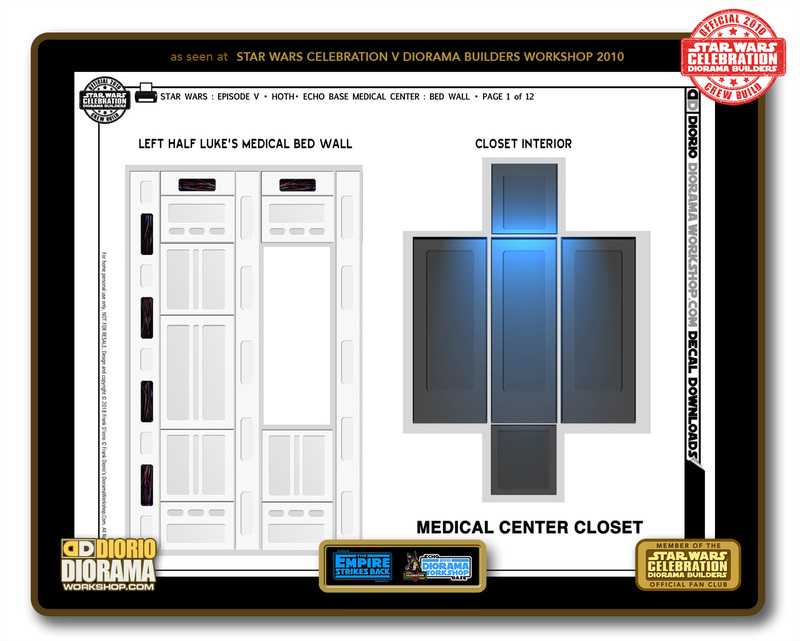 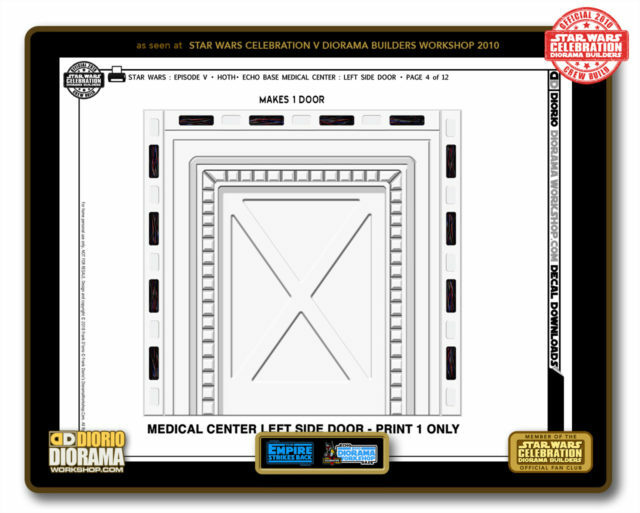 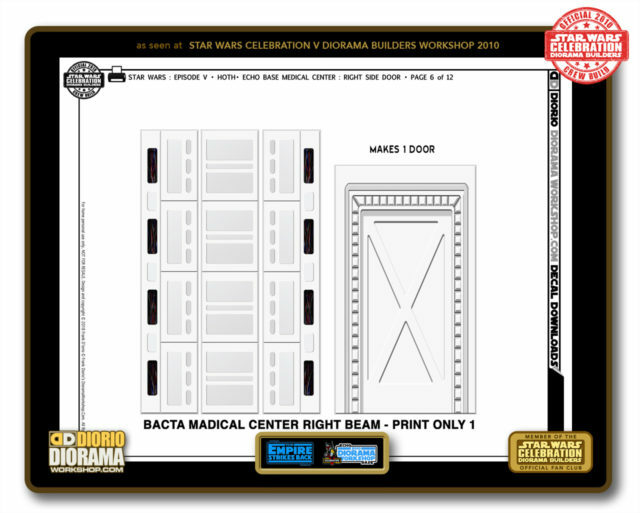 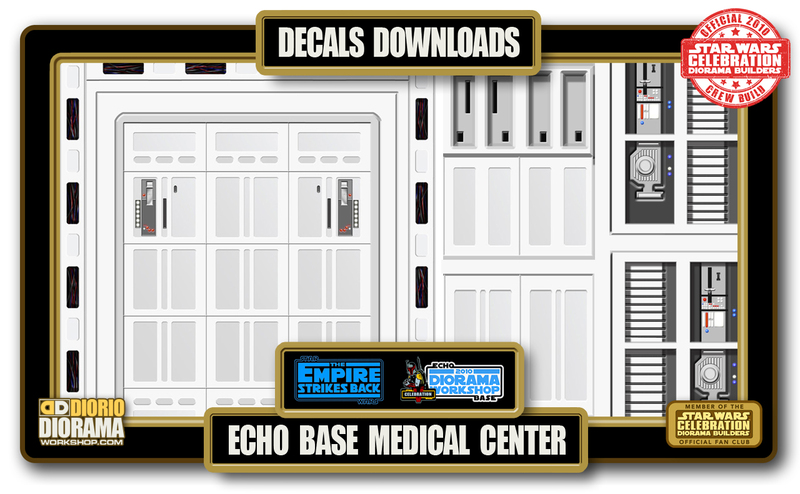 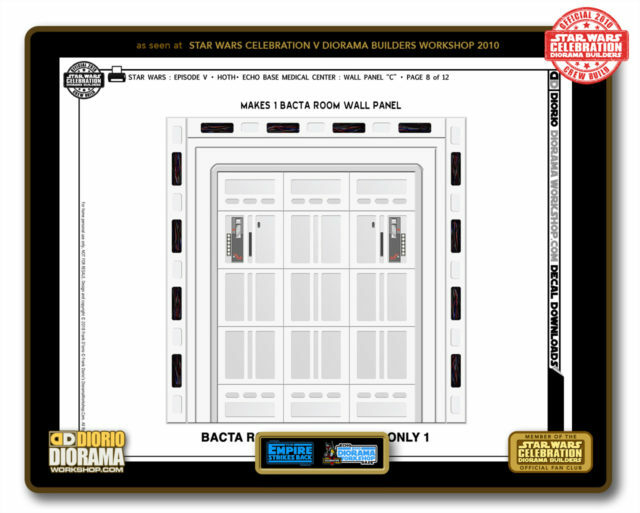 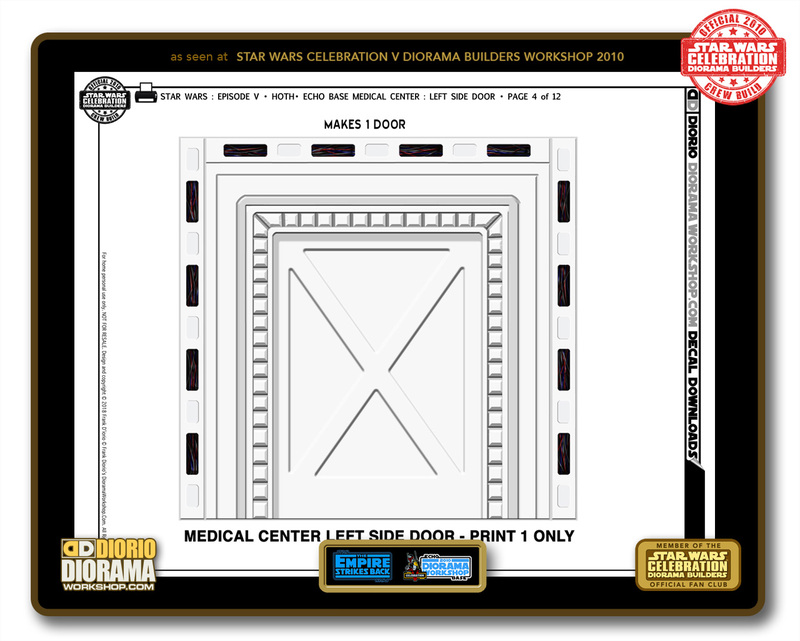 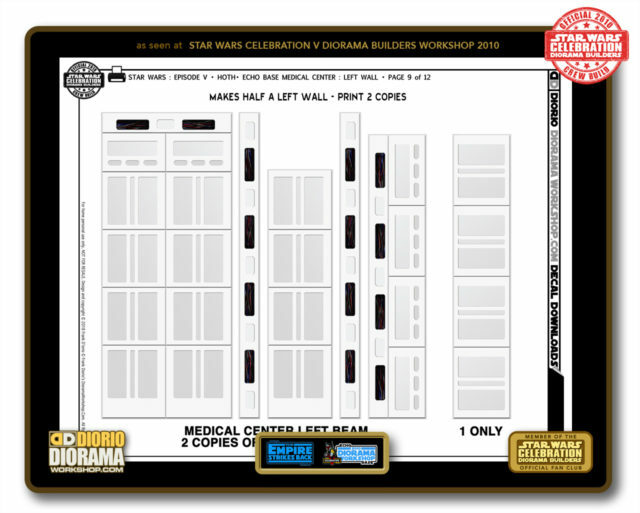 Welcome to the Hoth ECHO BASE MEDICAL CENTER Decals page. 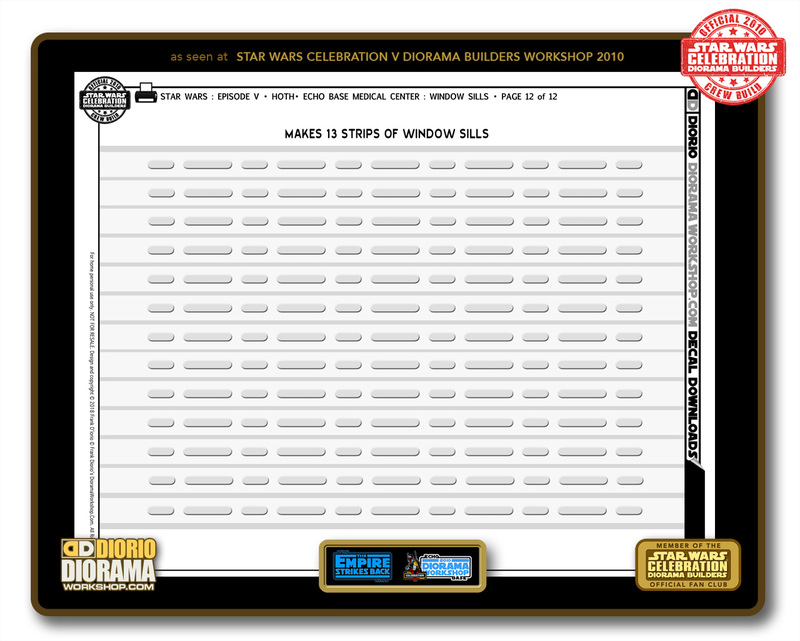 These prints were so much fun to create and one that really bring your diorama to life as this scene is ALL sticker decal skins. I created this scene back in 2002 when Hasbro released Luke Bacta deluxe action figure. 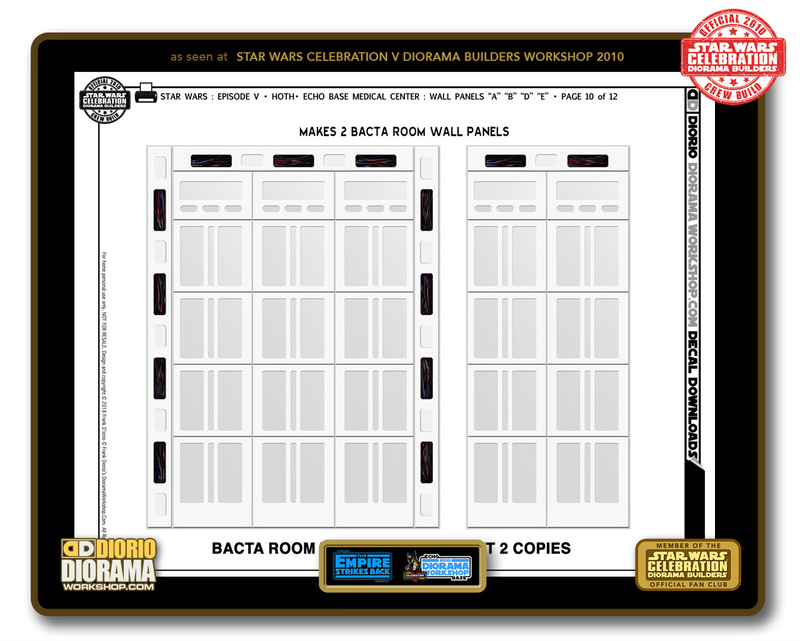 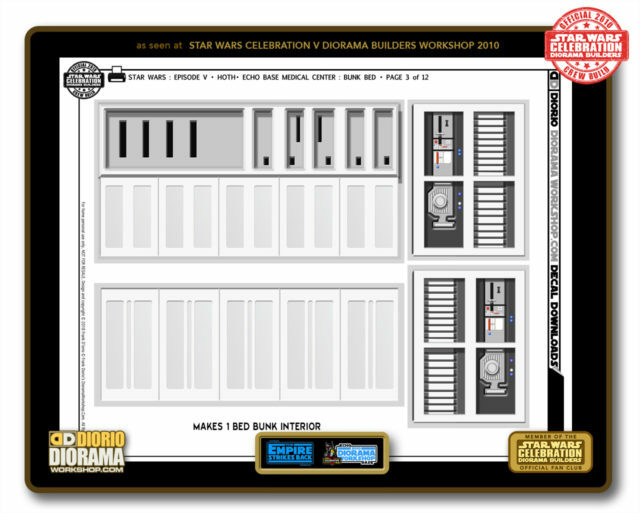 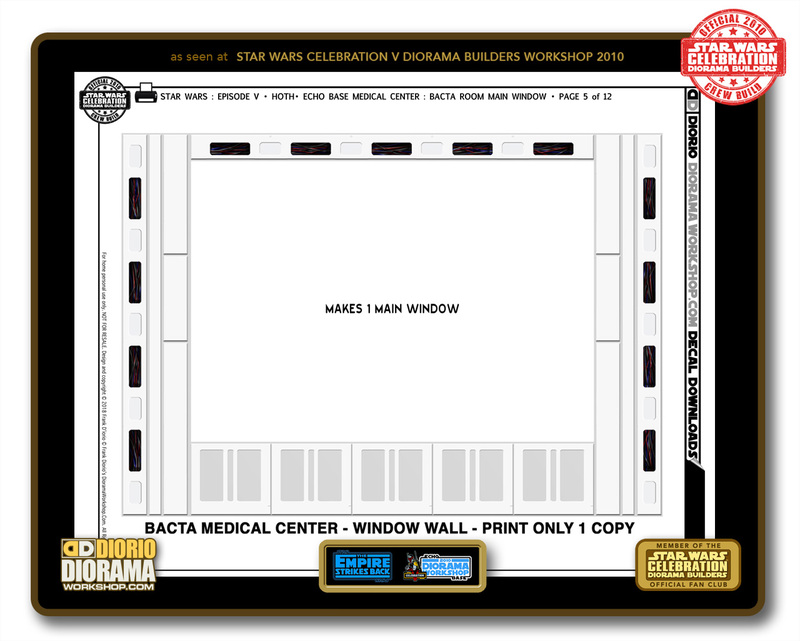 When we decided on Hoth for our 2010 convention theme, I just spruced them up in higher resolution. The decals you see here are the EXACT SAME that the fans used at the convention. Click on any thumbnail above to see what the Decal looks like UP CLOSE. 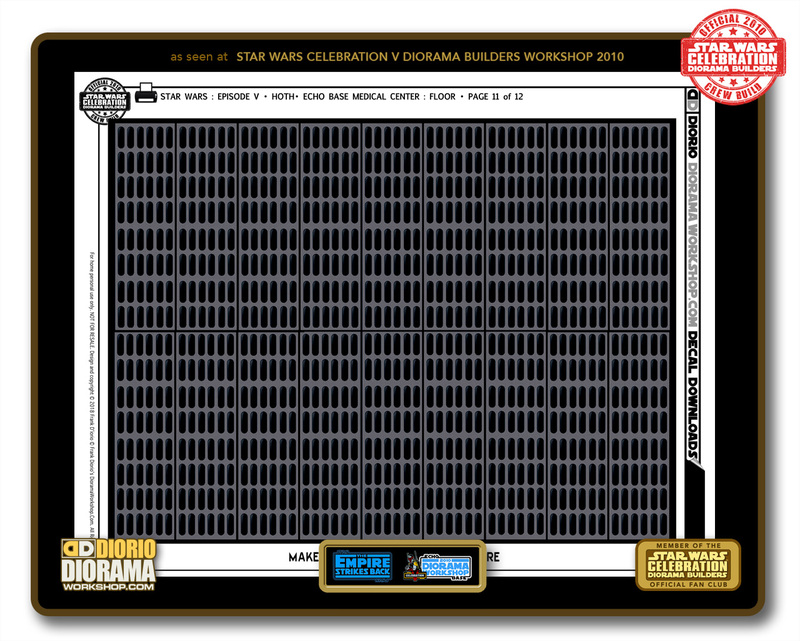 Once you are ready to print them, just Click on the DIORIO DECALS PDF DOWNLOAD cover image below to open the PDF Decals catalog. 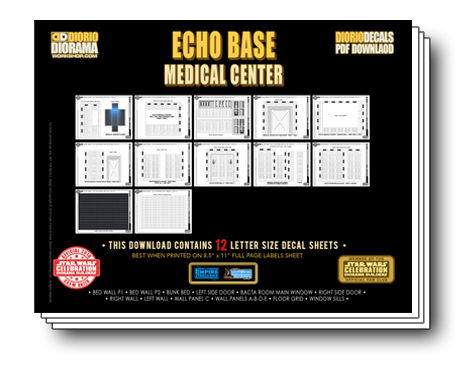 Once there, simply save it to your desktop and Click the Print icon in the Top Right corner or you can bypass the download and Print the pages from the site without cluttering your hard drive.